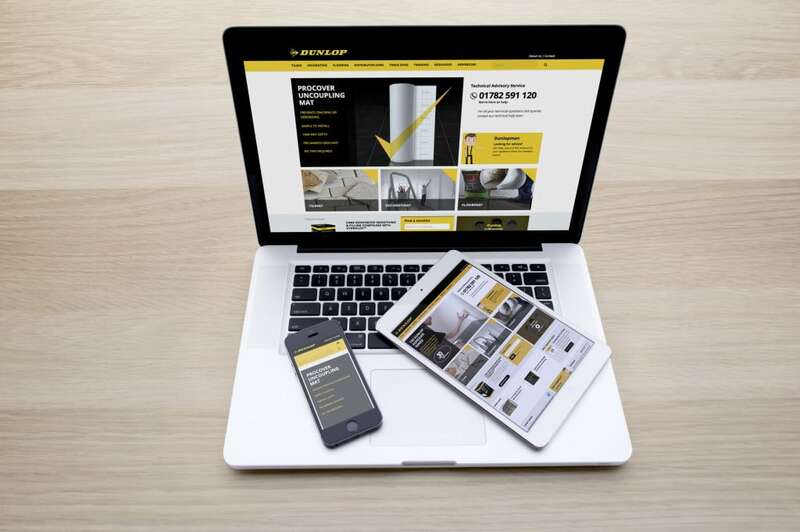 Dunlop – the pioneering manufacturer of tile adhesives, grouts and decorating products – has launched a brand new responsive website to meet the needs of all its customers. Combining all the great elements of Dunlop’s previous websites – dunlop-adhesives.com and dunlop-decorators.com – www.dunloptrade.com provides great new features and benefits for builders, decorators and merchants. New and improved Job Build tool in the Trade Zone which suggests the correct products required and their quantity for tiling and decorating projects. #AskDunlopman online blog for top tiling and decorating tips. Debi Boulton, sales and marketing manager for Dunlop, said: “Bringing our tiling and decorating brands under one umbrella was an obvious decision to make and provides a fantastic resource for tradesmen, decorators and merchants alike. “As part of our digital upgrade, tradesmen and merchants will have access to a range of new and exciting tools including an improved version of our popular Job Build tool. Now including our Pro Décor range of decorating products, the Job Build tool provides accurate recommendations to help people in the trade complete the job to a high quality. “In response to customer demand, visitors will also be able to talk directly to our team through our Live Chat facility which will be open during normal working hours. All of Dunlop’s tiling products are supported by a 10-year guarantee and a dedicated technical helpline is operational in case any questions arise whilst on the job. For more information please call 01782 591160 to speak to a member of the Dunlop team. Keep up-to-date with Dunlop’s latest news by following us on Twitter at https://twitter.com/DunlopAdhesives / https://twitter.com/DunlopProDecor or liking us on Facebook at https://www.facebook.com/dunlopadhesives.